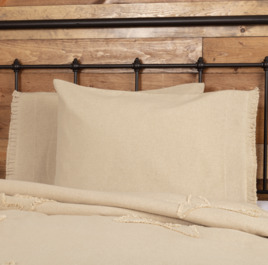 The Burlap Vintage King Pillow Case Set of 2 is a great addition to your farmhouse style bedding. Featuring soft vintage tan cotton burlap for multipurpose use; finished with 4 inch self-trim and a simple, turned edge seam for a quality touch. 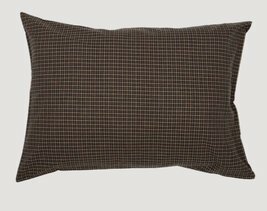 You'll love the woven black plaid cotton Kettle Grove pillow cases! Each one measures 21" x 30" and is 100% cotton. Sold as a set of two cases. 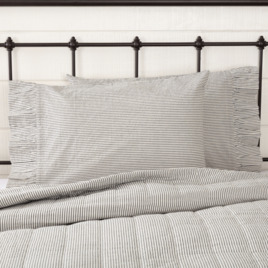 Coordinates with the Kettle Grove Bedding Collection. 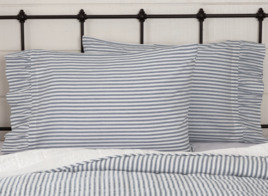 Bring farmhouse style to your bedroom with the Hatteras Seersucker Blue Ticking Stripe Pillow Case Set. 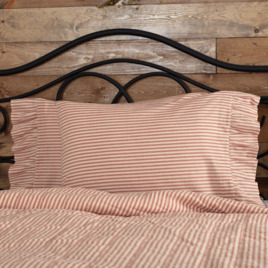 This Americana set gives off a cool ocean breeze, vintage vibe featuring popular ticking stripes with quality seersucker material.